The Chicago Park District is hosting an Open House on February 15 regarding the new Lakefront Trail Improvements. 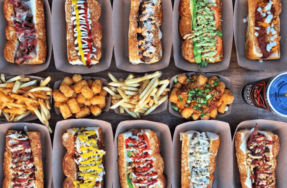 Join representatives from the Chicago Park District, Chicago Area Runners Association, and the Active Transportation Alliance from 4-7 P.M. at the the Gill Park Fieldhouse (located at 825 W. Sheridan). 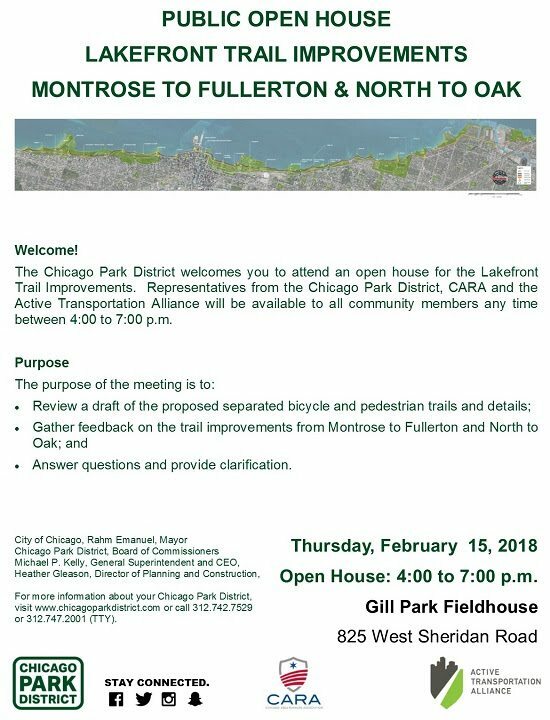 The purpose of this meeting is to gather feedback on the trail improvements from Montrose to Fullerton and North to Oak, as well as review a draft of the proposed separated bicycle and pedestrian trails and details. Representatives will be available to answer questions and provide clarification on the new plans.